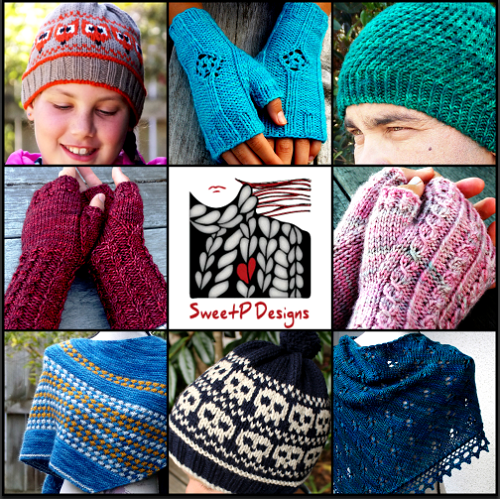 Joining us today is Gabriella Henry of SweetpDesigns. Shop her patterns on Ravelry. See her on Instagram. What excites you about the GAL? What’s your favourite part? This is my 5th year participating and I look forward to the GAL every year. I love the sense of community and getting a head start on some gift knitting. The best part is finding new to me designers – the design talent on Ravelry is really quite amazing and I love that the GAL really highlights this. My favourite part of the GAL is looking through the bundles and adding to my queue/wishlist/to do list/wip pile. 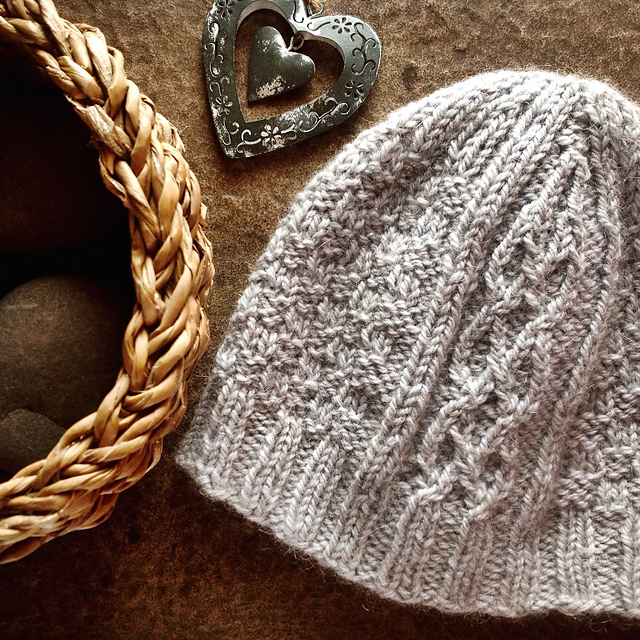 The fresh hit of inspiration always does wonders for my knitting mojo! When I design I’m mostly inspired by texture and colour. My designer page is pretty colourful and you can see I am drawn to rich, jewel tones. I have also designed pieces inspired by the New Zealand landscape and the various places I have lived around the country. One of my most popular patterns (Faultline) was inspired by the 2011 Christchurch earthquake which devastated the city where we were living at the time. I’m a part time designer and a full time primary school teacher. This is my first year teaching so it has been really busy and designing has taken a bit of a back seat while I adjust to a new working life. I’m hoping I can find time next year for both! Probably shawls. I love the endless ways to add colour and texture and all the shape possibilities. They are my favourite blank canvas for letting my inspiration run wild or to showcase a special yarn. I mainly design accessories and I try to design things that are fun to knit and easy to wear. There is usually a bit of texture but never too difficult or involved. I try to design things that an adventurous beginner could attempt and a seasoned pro could do while watching TV. I guess because these are the sorts of designs I enjoy knitting myself! I have also dabbled in crochet design – my Lucie pattern is knitted but has a quick crochet border. My favourite international yarn is Tri’Coterie – lovingly dyed in France by Maylin Tan, my knitting-BFF, and my favourite New Zealand yarn is anything by Outlaw Yarn (but especially their super soft Bohemia Worsted). Tri’Coterie specialises in luxury yarn and rich colour so knitting with this yarn is always a special treat. Outlaw Yarn is designed and spun in New Zealand using New Zealand fibres like possum. I love supporting the local knitting resurgence here.